Newcastle hosted an electric car convention. While these cars appear to be clean and green we have to remember where that electricity comes from – at least within Australia. 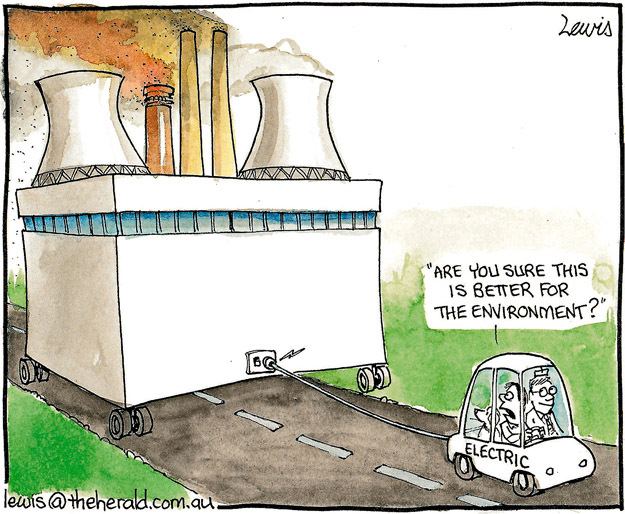 This entry was posted in Editorial Cartoons and tagged australia, cars, climate, coal, electric, electric cars, environment, environmental activists, power, power generation on November 28, 2012 by Art by Peter Lewis.